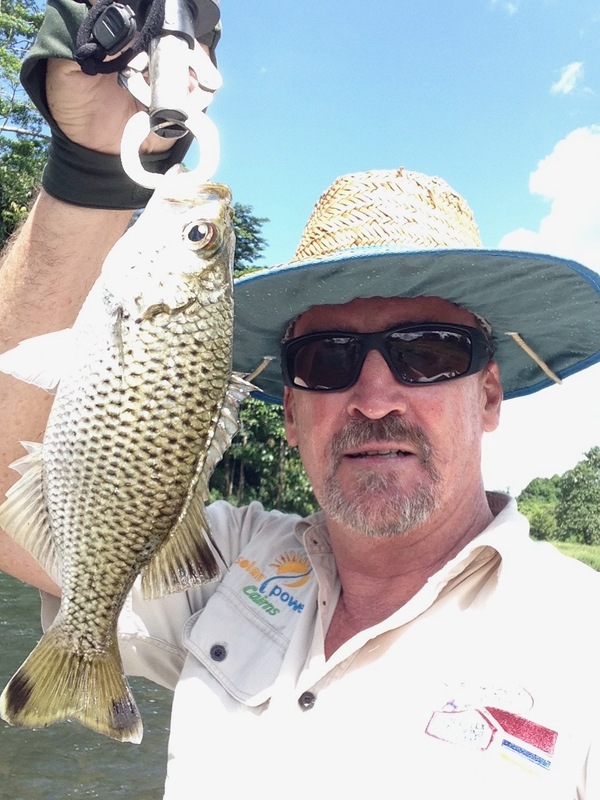 The Jungle Perch is often regarded by light tackle sport fishing enthusiasts as one of the hardest fresh water species to find / catch, this most sought after fish is fairly common in Tropical North Queensland’s pristine rainforest rivers. The more remote the location, the greater the chance of an encounter. 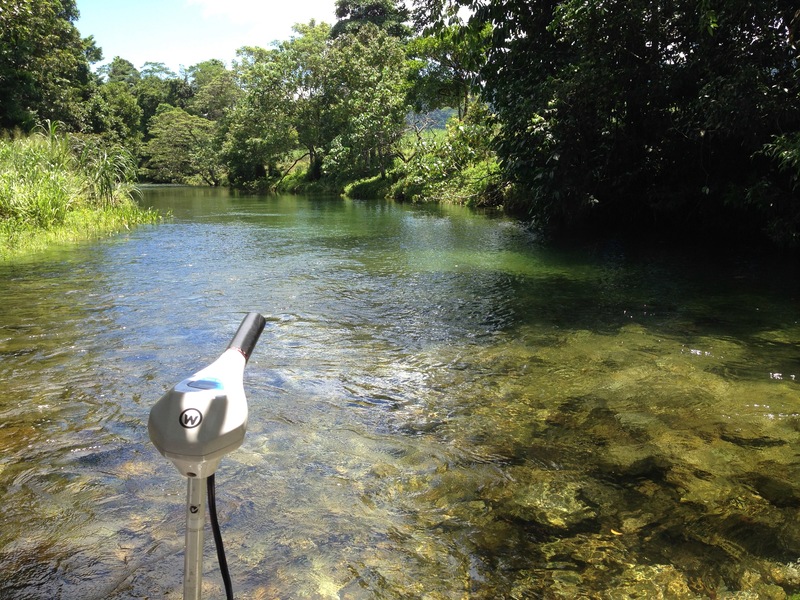 They are fast learners, and any well fished location will soon show poor catch rates per effort. They love to hide out in the shade of overhanging foliage during the warmer months, and a well directed cast will be rewarded with a strike. They are exceptional fun on ultra light tackle. 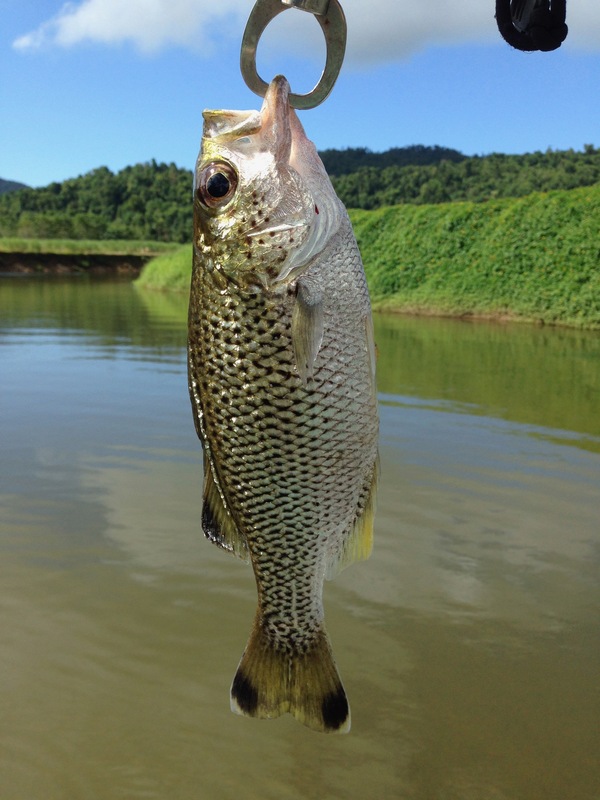 Jungle Perch have excellent eye sight, and will ambush small lures and flies with gusto. Its habitat is very similar to that of the “Sooty” and fishing techniques identical. 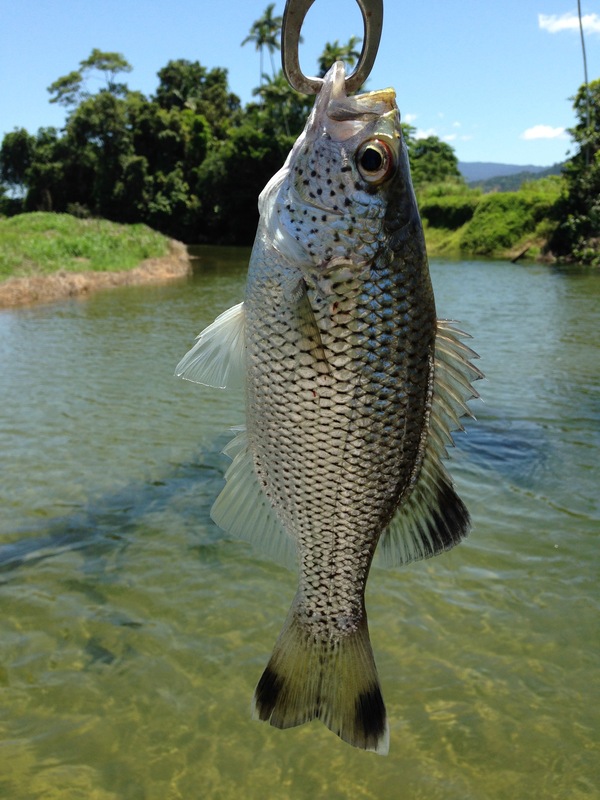 A by product of fishing for Jungle Perch is the magnificent scenery you will encounter chasing them. 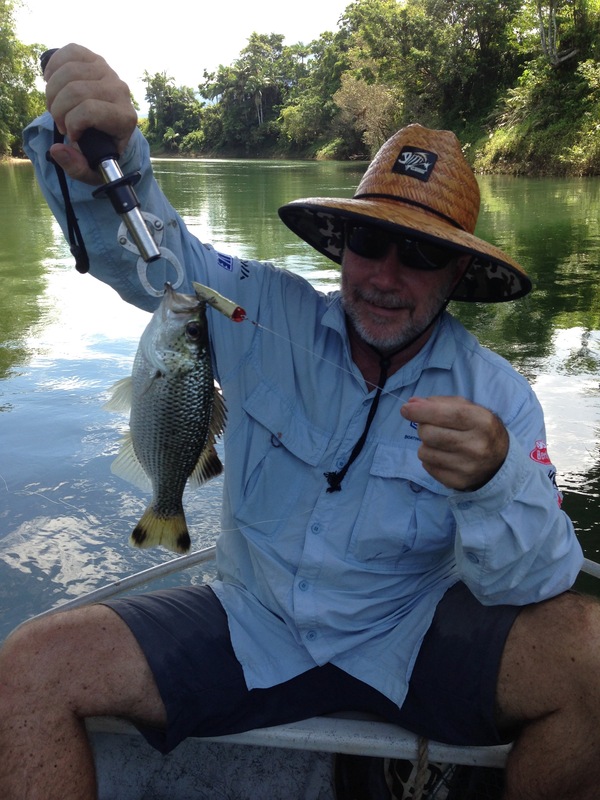 Most fish usually caught are around the half to three pound mark and their relative rarity ensures most guides will insist on catch and release only. They are a very attractive species, and it is a real thrill to land one. Estuarine Crocodiles inhabit these waters. 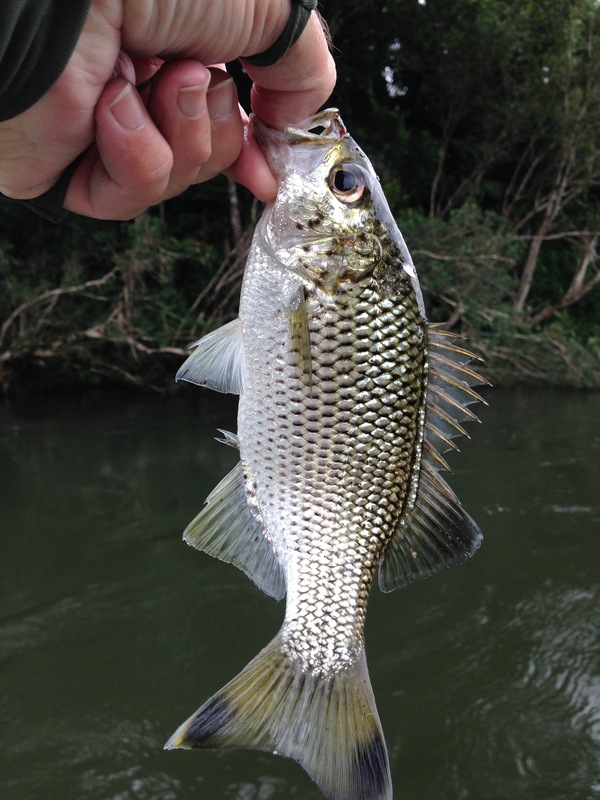 Caution must be taken when fishing in all our coastal areas, rivers and streams. Crocodile attacks are rare, but they do occur, caution and vigilance is the key. Crocodiles have been spotted way out to sea, and miles upstream in fresh water, so always be on the lookout. 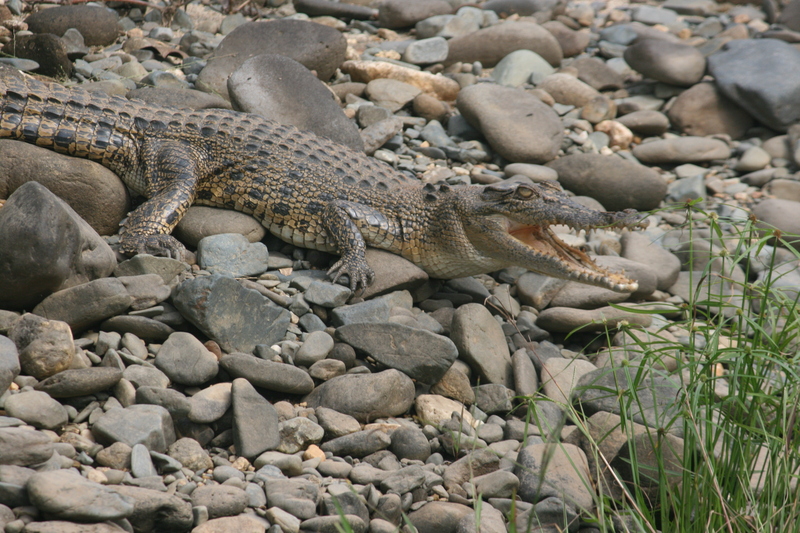 This little Croc was spotted around 40km upstream from the river mouth.